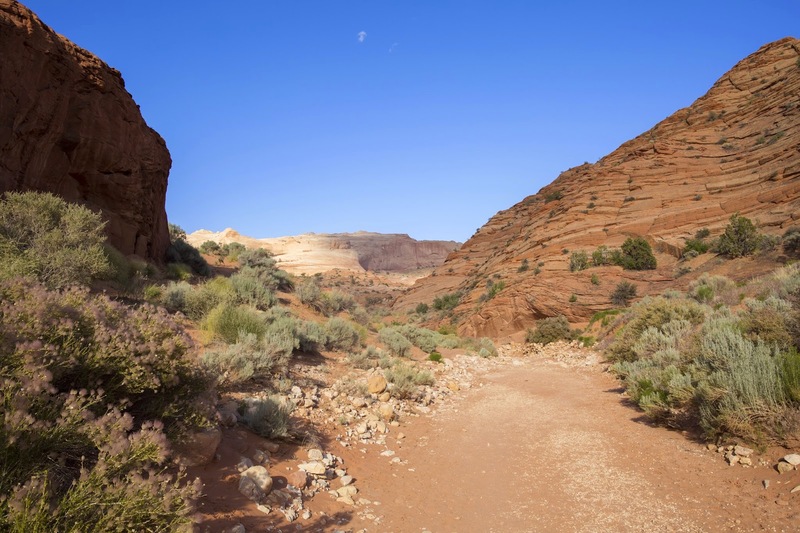 I hiked Buckskin Gulch, located in southern Utah, during late May. 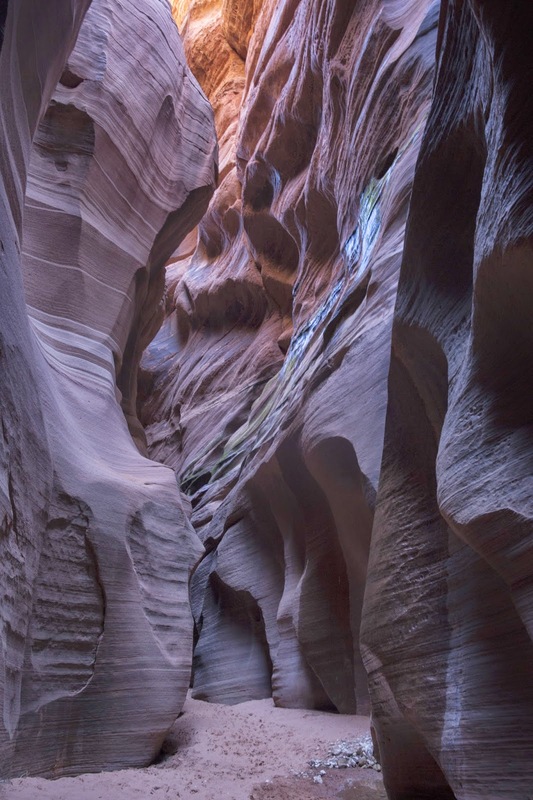 After walking a mile along a dry creek via Wire Pass, I entered narrow sections of slot canyons, with the rim of these canyons becoming progressively taller. 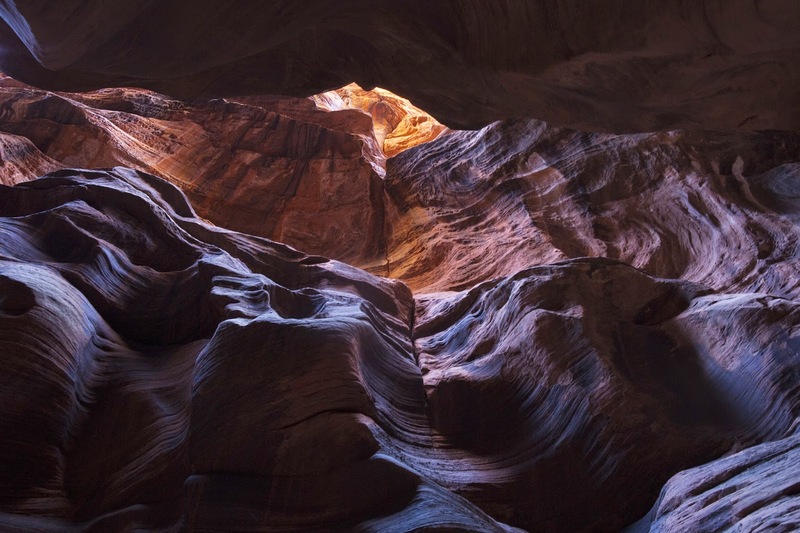 After another mile or so, Wire Pass connected with the main canyon, in what can be described as a large amphitheater like area surrounded by steep sandstone cliffs. 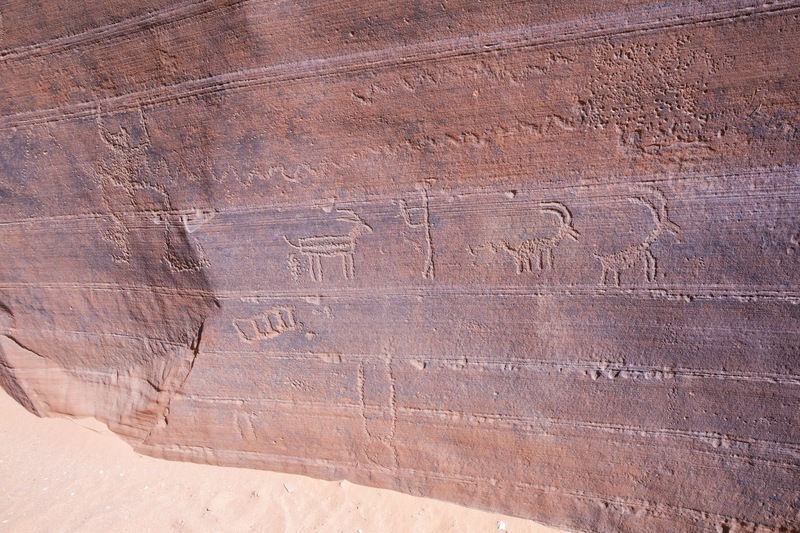 Petroglyphs are located at this junction, most of which depict animals such as deer. 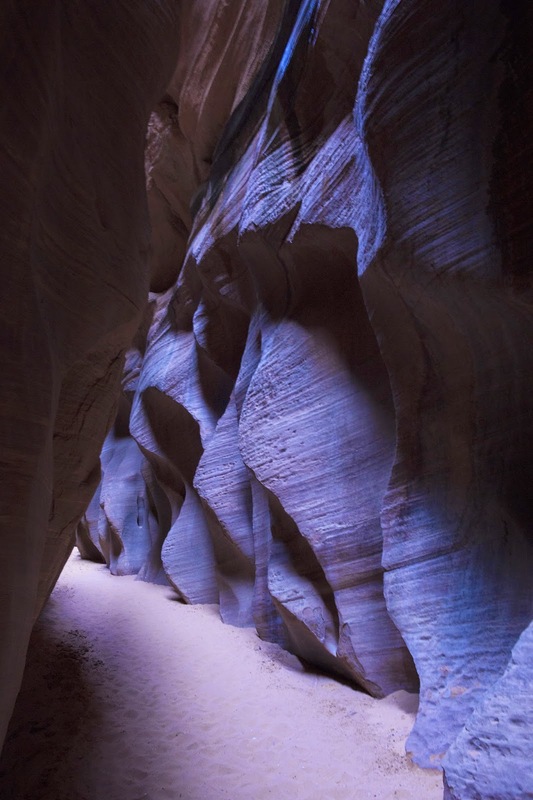 I continued on from this point into a deeper and more narrow section of the canyon, with walls glowing purple and orange from the ambient sunlight striking the rim of the canyon above. A decision was made to turn around a mile later due to dwindling daylight. 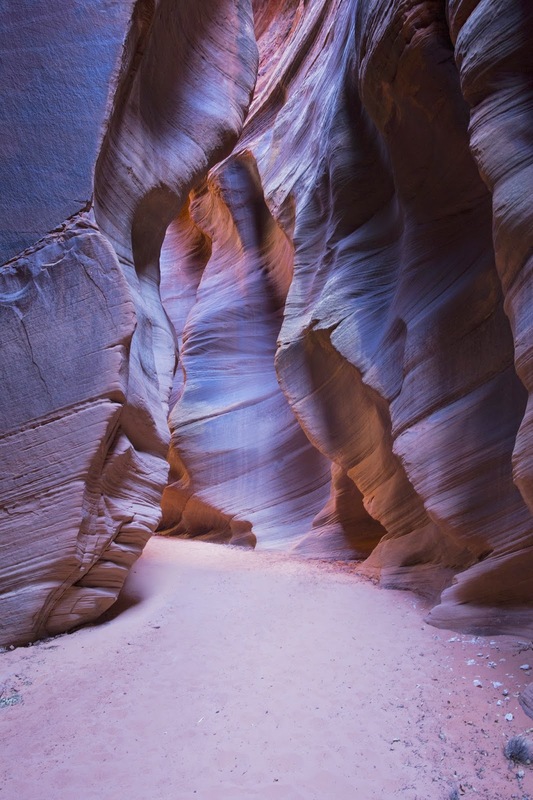 However, I plan to come back and explore the remainder of this long slot canyon that eventually connects up with the Paria River 15 miles from the entrance. 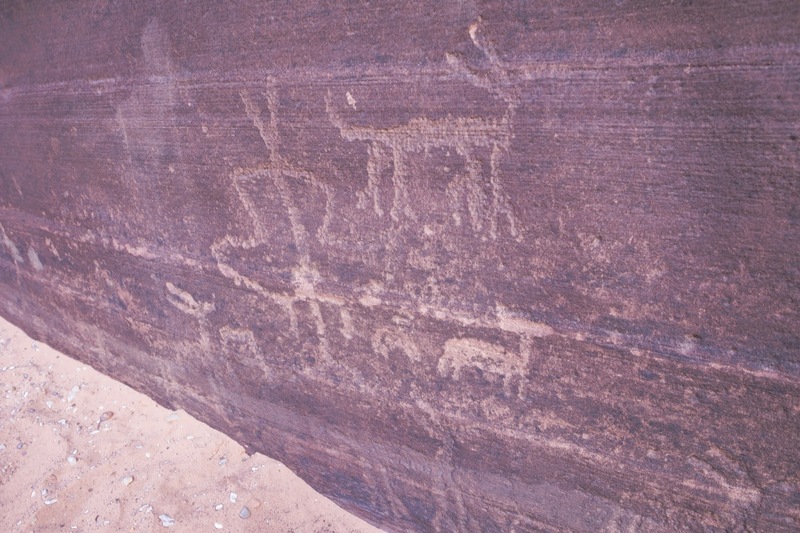 Petroglyphs located at the junction of Wire Pass and Buckskin Gulch.